Ron and Lynne Bak chose to build a Paal kit home as a retirement project and estimated they saved themselves more than $100,000 in the process. Planning their golden years, the couple found a perfect two-acre block in South Maroota, near Wisemans Ferry in New South Wales. All their children live close by, and with time on their hands they wished to spend it with them and their grandchildren. Choosing the block was easy, and so, as it turned out, was selecting the house. Lynne and Ron decided on Paal’s Hartley design, its modern colonial style and single-level layout suiting a large block. The design even includes a mud room for wet gumboots and dirty work gear behind the garage, making it an ideal rural home. The couple adapted the standard design, adding two extra spaces – a workshop for future DIY projects and a music room. Ron, with a trained boiler-making background, is always looking for projects that will use his hands. 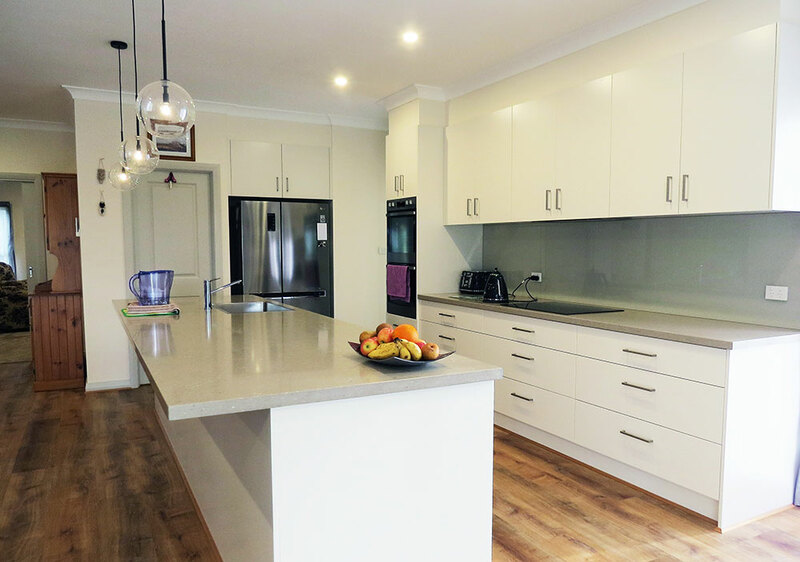 He has a general knowledge and interest in building, and had experience with extensions and renovations in their previous home. He felt confident that with Paal’s clear instruction manual, track record for customer service, and guaranteed support throughout the process, he would be up to the task of building the home. “I had a reasonable idea of what to do, and I was excited by the idea of building. As a retiree I have my days free, so I would get up and get onsite and get to work,” he says. Ron’s steadfast commitment meant that the build took a little under 12 months to complete. With the exception of help with the roofing, bricklaying, gyprocking and required licensed trade services for plumbing, electrics and water tank installation, he completed the project himself. Ron and Lynne said they’re really happy with the result. “We have everything we need in the home and are close to our family. That was the original intention, and we are now living the dream,” Ron says.